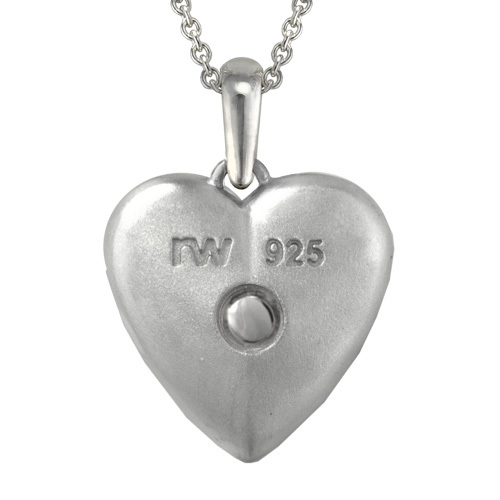 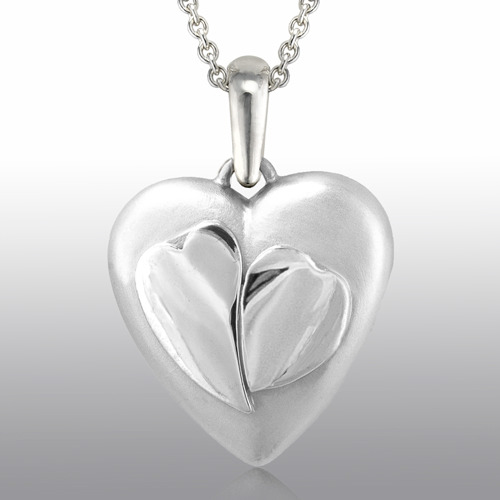 Precious Vessel Two Hearts pendant in sterling silver. 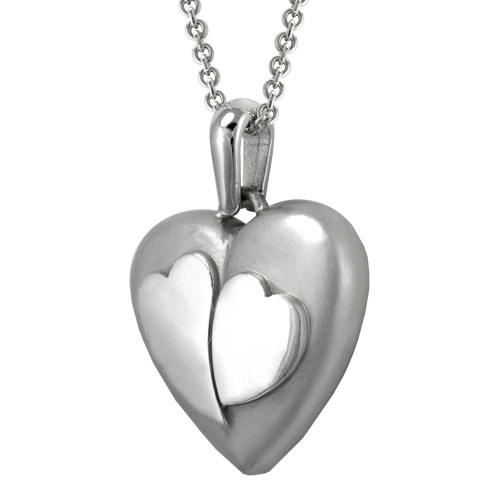 The design of the hearts are symbolic of love forever joined. 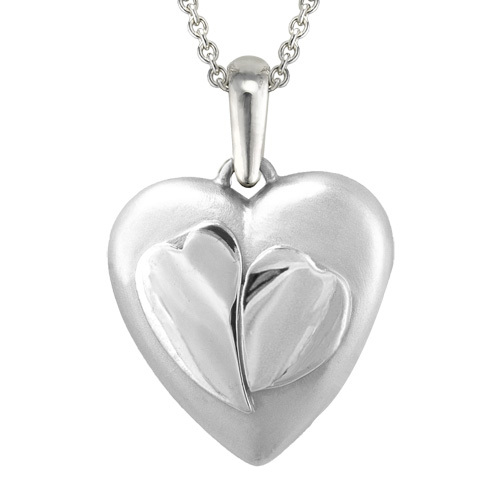 The chain is 16” sterling silver with a large lobster claw clasp. 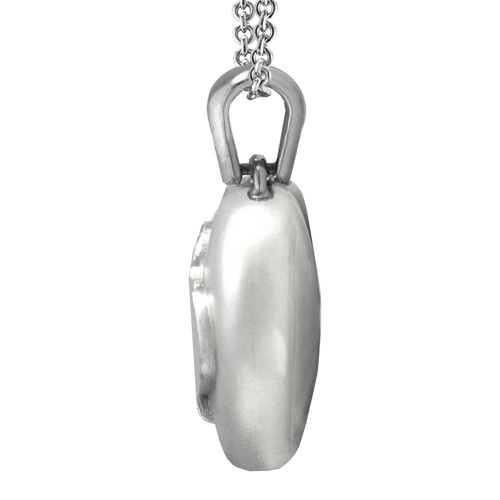 The chain also has a shortening ring at 17” and 16”.